You Are Here: Home > How Do I Check My Transmission Fluid? Turn on the car. You need to warm up the engine in order to check the level. Find the transmission fluid dipstick. Check your owner’s manual for help. If you have a front-wheel drive car, it’s the transmission fluid dipstick will likely b located to the right of the oil dipstick. Take out the dipstick and move the fluid between your thumb and forefinger. The fluid should be mostly clear but with a pink hue. If the color is off or the fluid smells burnt, bring your vehicle into a service center for a replacement. Wipe off the dipstick with a rag, and then insert it back into your car. Pull it out again and check the level. If the fluid is under the “Full” marking, you need to add more to it. Using a funnel, pour in transmission fluid and bring the level up to full. Be careful not to overfill it. Check the main fluid levels of your car monthly, including checking your transmission fluid. In addition to your transmission fluid, check your power steering fluid and engine oil. 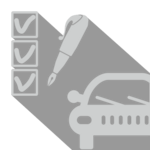 However, you should always consult your owner’s manual for a more specific maintenance schedule to ensure every ride to your favorite Guam restaurant is a safe one. Transmission fluid varies with different types for recent models, manual transmissions, and automatic transmissions. Consult your owner’s manual to learn about your vehicle’s particular type of transmission fluid. You’ll need a jack to access a plug located beneath the vehicle if you’re checking the fluid on a manual transmission. For most Guam drivers, it’s probably better to visit to our service center if you have a manual transmission. If you notice that your vehicle hesitates before shifting gears, it may have low transmission fluid. If not that, it might be the sign of a more serious issue. Check your fluid level first, and if it’s fine, schedule service with us. You should replace your transmission fluid every 50,000 to 100,000 miles. Again, this depends on your type of transmission and vehicle — as well as your driving habits. As always, check your owner’s manual for a more specific transmission fluid replacement interval. Learn more about how often you should change your oil, how much an oil change costs, and how often your tires should be rotated. If you have any questions, please contact our service center at 671-648-2277, or stop by our dealership near Rota today! US Military Active Duty, including Army, Navy, Air Force, Marines, National Guard, Coast Guard and Active Reserve, and their spouses. US Military Ready Reserve and Retirees, and their spouses. US Military Veterans, and their spouses. A current copy of a leave and earnings (LES) statement. A copy of honorable discharge papers. A bank statement indicating pension or disability earnings from the US Armed Forces. ​A marriage certificate (for a spouse in the military). This offer is not valid in combination with any other offers or promotions.